This level has hard difficulty. 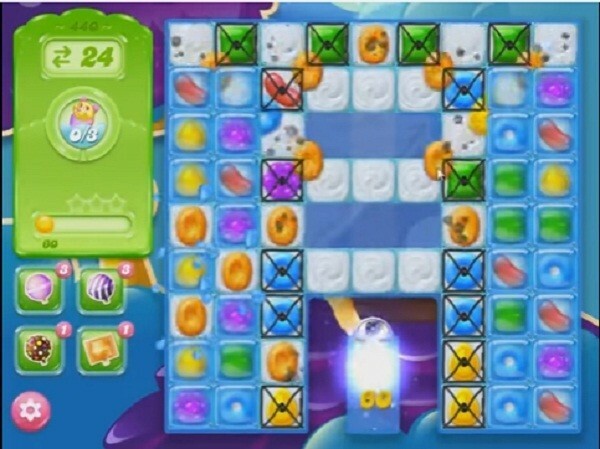 For this level try to play from bottom to shuffle the candies. Or play near to blockers or make special candy as you get the chance. Or combine them with each other to break the blockers to find the bears. Are they any more levels after 440 if so I long do I have to wait .